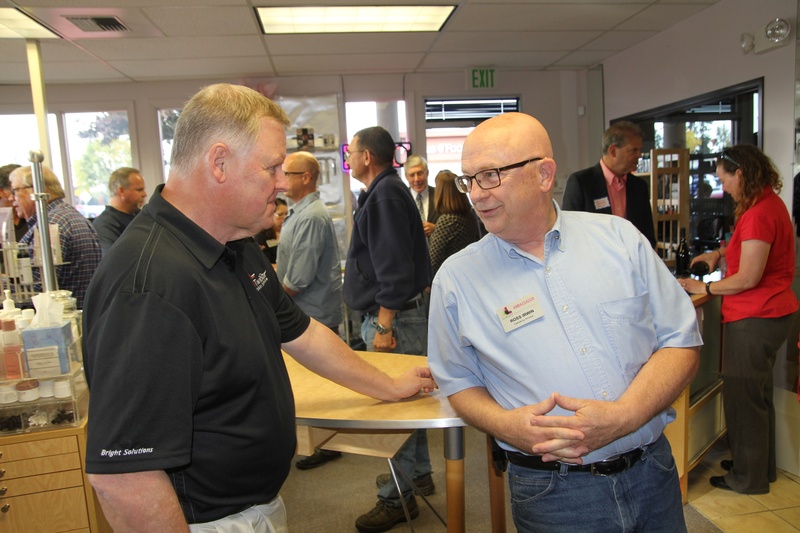 Gary Liden (left), from TwinStar Credit Union, and Ross Irwin with Cabinets by Trivonna network during a 5:01 Surge business after hours event. For over 50 years, the Lacey South Sound Chamber has been a vital part of the community. In 2015, the organization is on track to double membership, again proving the impact of the business community to the greater Lacey area. 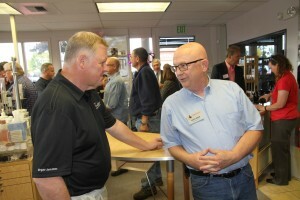 The Lacey South Sound Chamber has also built a solid working relationship with the City of Lacey. According to chamber leadership, this unique partnership has created a very business friendly city. Collaboratively, the partnerships have developed a culture where our business owners, city council members, and citizens are working together to sustain a vibrant and prosperous Lacey. The core of the Lacey South Sound Chamber is about businesses supporting other local businesses and giving back to the community. The Lacey South Sound Chamber fosters a strong sense of business community, supports emerging leaders, and advocates on behalf of its small businesses.